From this page you can easily browse all available Rio Verde homes, condos, townhomes, patio homes and land from the Arizona MLS, including foreclosures. 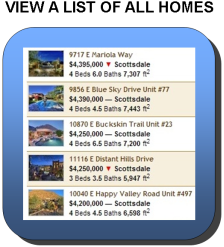 Our Rio Verde real estate listings are updated daily! 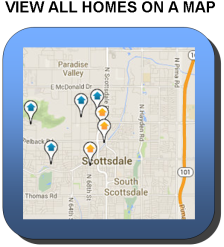 To begin, simply click on your choice of buttons below to view a list of all homes, or view properties on a map. Thinking about selling your Rio Verde home? Please Contact Us or call us direct at (480) 442-8255 for your complimentary home value estimate, or to schedule a consultation. We're a local, experienced team of Rio Verde Realtors who can help you get top dollar for your home.